With over 2.5 billion social media users worldwide, it is no surprise that social media marketing is booming and partnerships between brands and social media influencers (i.e. individuals with large followings on social media platforms) are becoming increasingly popular. These partnerships can be great opportunities for both parties – on the one hand, the brand gets promoted to the influencer’s thousands or millions of followers by a person they admire and trust, while the influencer gets compensated for this promotion. However, these brand/influencer relationships can also expose both parties to lawsuits and fines from the Federal Trade Commission (FTC). Although social media may seem like an informal marketing platform, the FTC has determined that its Guides Concerning the Use of Endorsements and Testimonials in Advertising apply to social media marketing, just as they apply to other forms of marketing. This article outlines how to avoid a few of the common legal issues that arise in the course of a brand/influencer relationship. Disclose the relationship between the influencer and brand. Part of the appeal of hiring an influencer for a marketing campaign is the authentic feel of the endorsement. However, the FTC’s the Guides Concerning the Use of Endorsements and Testimonials in Advertising require influencers to disclose “material connections” that they have with the brand they are endorsing. A connection is deemed “material” when the relationship between the influencer and brand may materially affect the weight or credibility of the endorsement from the influencer. 16 C.F.R. § 255.5 (2009). An obvious example of a material connection is one where the brand is paying the influencer to endorse or review a product, but even friendships or familial relationships between the influencer and brand are material, as the influencer may be more likely to give a product a positive review because of this relationship. The disclosure of the material connection must be clear and conspicuous. For example, a disclosure that consumers can only see if they click to see more of a post, or ambiguous hashtags such as “#ambassador” or “#collab,” are insufficient to meet the FTC’s disclosure requirement. On the other hand, the FTC has stated that “#ad” close to the beginning of a post is a sufficient disclosure. Both the influencer and the brand may be liable for the influencer’s failure to disclose a material connection, so brands must be sure to inform influencers of the duty to disclose and monitor the influencers’ posts to ensure compliance with the FTC Guides. The claims in the endorsement must be truthful. Claims made by a social media influencer in an endorsement must be truthful and substantiated. This means that advertising claims cannot be misleading to the average reasonable consumer, and any statements made about a product or service must be supported by evidence. Even if the influencer makes a misleading or unsubstantiated claim about a product without consulting the brand, the brand will still be liable the influencer’s statements. Again, this highlights the importance of monitoring the influencer’s posts and providing the influencer with guidelines about what claims he or she can legally make about the product or service being advertised. Determine who owns the intellectual property rights in the content. In a typical company/influencer relationship, the influencer will post a photograph and accompanying text exhibiting the brand’s products or services on the influencer’s social media account. If the influencer created this content, the influencer owns the copyrights to it, and the brand could be liable for copyright infringement if it reuses this content without the influencer’s permission. To avoid this issue, the brand should ensure that there is an agreement in place between with the influencer assigning the copyright to the brand. Make sure the content does not infringe a third party’s rights. Even if the brand and influencer have reached an agreement regarding the ownership of the content in a social media endorsement post, the post may infringe the rights of a third party if it includes a third party’s image or artwork. If someone’s image is used in the endorsement, this person may claim a violation of his or her publicity rights. Similarly, the use of another’s artwork in the content of the endorsement may constitute copyright or trademark infringement, subject to the fair use defense (which is less likely to apply to a social media post that is clearly an advertisement). To learn more about the formation of and legal pitfalls to be avoided during the course brand/influencer relationships, contact Heather Laird-Vanderpool or Aleen Tomassian. Some consumers may view offers of brand name goods from sellers not within the manufacturer’s regular distribution chain as just a way to “get a good deal.” But those offers can result in purchasers receiving counterfeit products, which are no bargain and can expose unknowing consumers to some of the worst risks imaginable. At the very least, counterfeit products are frauds – they are not from the manufacturer whose trademark appears on the product, so the consumer is cheated out of the quality that the brand represents. But in reality, the consumer has absolutely no idea what the contents and construction of a counterfeit product may be – it is a product of unknown origin, regardless of whether the consumer purchased from a known reseller. Because virtually any product a consumer can purchase can be counterfeited, consumers can be placed in great danger from unknowingly purchasing substandard products. A couple of recent events in the news highlight the extreme risks of counterfeit products. The risks to consumers of counterfeits unfortunately do not stop even there. An even more extreme case of product counterfeiting hit the press a few days later. Tragically, famed rock artist Prince died in April 2016. It was soon determined that he had died from an overdose of fentanyl, an extremely powerful and dangerous synthetic opioid. But in April 2018, local prosecutors announced that Prince had consumed the fentanyl by taking tainted counterfeit Vicodin, a brand name medication of AbbVie, Inc. There was no determination as to how Prince obtained the counterfeit Vicodin pharmaceuticals. “In all likelihood, Prince had no idea he was taking a counterfeit pill that could kill him. Others around Prince also likely did not know that the pills were counterfeit containing fentanyl,” Carver County, Minnesota Attorney Mark Metz was quoted as saying at a news conference. Some believe that counterfeits can be identified by the price alone, and warn against buying brand name products at steep discounts. While an inexplicably low price is certainly a red flag of a potential counterfeit, in fact counterfeit products are often sold to consumers at prices very close to those of the brand name product. This is often because many intermediaries have handled the product, taking a profit with each transaction, in the course of a murky gray market distribution process. The popularity of online sales make the risks even worse for consumers, as it is nearly impossible for the consumer to inspect the product before purchase and delivery, and it is often very difficult for consumers to determine who is actually selling the product online. For example, many popular online sellers act as marketplaces for innumerable third party sellers, and a purchaser cannot always determine which seller will actually deliver the product purchased. If you are a consumer, you really need to exercise great caution when considering purchases of brand name products from sellers who are not in that manufacturer’s authorized distribution channels. It generally matters little whether the seller is known to the consumer – it only matters where the seller obtained the product. If you are a brand name manufacturer or trademark holder who suspects that unauthorized parallel market sellers may be offering counterfeit products, you are well advised to promptly contact counsel well-versed in the issues and methods of enforcement of your intellectual property rights. 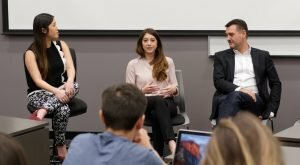 On January 30, 2018, the USC Gould Law School presented “The Future of Fashion,” a panel discussion co-hosted by the IP & Technology Law and Art Law Societies at USC. Conkle, Kremer & Engel attorney Aleen Tomassian was one of the expert panelists invited to discuss the current state of intellectual property law as it affects the fashion industry, and to discuss how recent court decisions affect the future of the industry. A major point of discussion involved the impact of the Supreme Court’s recent Varsity Brands v. Star Athletica decision, a copyright case that concerned design features on cheerleading uniforms. Historically, articles of clothing have not generally afforded copyright protection because they are considered “useful articles.” But the Supreme Court held that the design features of the uniforms in issue were protectable because they were works of art which could be imagined separately from the useful article into which they were incorporated. Many have suggested that the holding in Star Athletica signals that broad copyright protection would be available for articles of clothing. 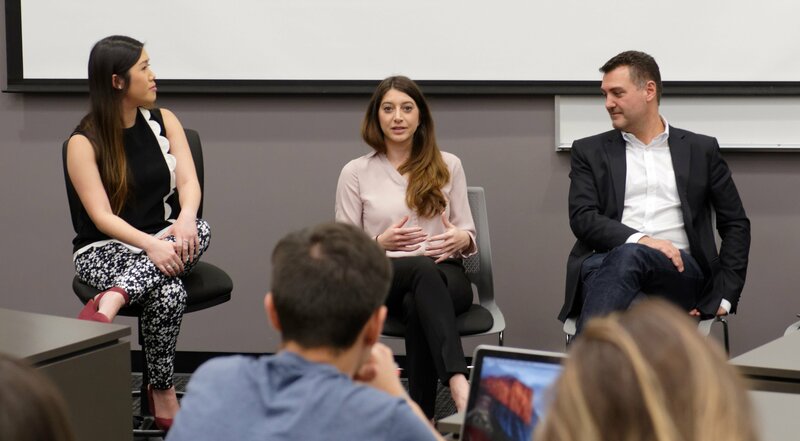 But the USC panel discussion made clear that Star Athletica affirmed that copyright protection is available for design elements as distinct from “useful articles,” and the recognized protection is not available to clothing in general. The panel addressed the unique intellectual property issues that the fashion industry faces. There was a broad discussion about the economic and moral impact of “copycat” designs on society and the effects of “knockoffs” on innovation. Since fashion designs are not specifically protected under U.S. law, the conversation highlighted how attorneys skilled in fashion law use a combination of available forms of protection, including copyright, trademark, trade dress and design and utility patents. A recent example is the pending case of Puma SE v. Forever 21, Inc., USDC Central District of California Case No. 2:17-cv-02523, in which Puma asserts that it has distinctive shoe designs in a line called Fenty Shoes that is promoted by singer Rhianna. Puma contends that Forever 21 engaged in deliberate copying of some of its Fenty Shoes designs, notably the popular “Creeper”, “Fur Slide” and “Bow Slide” models. To protect its designs, Puma alleged infringement of design patents, trade dress and false designation of origin under the Lanham Act, and copyright. Puma’s copyright claims attempt to leverage the Star Athletica decision by contending that certain elements of the Fenty Shoes “can be perceived as a two- or three-dimensional works of art separate from the Fenty Shoes” and “would qualify as protectable pictorial, graphic, or sculptural works – either on their own or fixed in some other tangible medium of expression.” Under the Star Athletica standard, to allow this type of copyright infringement claim, the court will have to determine that “the separately identified feature has the capacity to exist apart from the utilitarian aspects” of the shoe. “If the feature is not capable of existing as a pictorial, graphic, or sculptural work once separated from the useful article” – the shoe – then it is a utilitarian feature and not subject to copyright protection. The attorneys at Conkle, Kremer & Engel have years of experience navigating the complex legal and intellectual property issues faced by clients in the fashion industry. Our attorneys help clients protect their brands to ensure their continued success in this demanding and fast-paced industry. As the holiday shopping season reaches peak fervor and consumers seek out the best deals available on hot products, gift-givers are more at risk of purchasing counterfeit products of all kinds. Recently, news articles have warned of counterfeit Fingerlings – the latest “it” toy – along with fake versions of popular electronics, clothing, personal care products, and many other types of goods. Government bureaus like the U.S. Customs and Border Patrol regularly release holiday bulletins advising of the escalating volume of phony products entering the United States (for example, https://www.ice.gov/news/releases/buyer-beware-counterfeit-goods-and-holiday-shopping-season). Counterfeits are far from harmless. Not only are these counterfeit goods generally inferior to authentic products in both quality and safety, fake products are fraud, theft, and infringements of valuable trademarks and other intellectual property. Sales of counterfeit products can even be criminal. As a consumer, what can you do to help ensure you’re receiving the genuine article? The most obvious method is to avoid unfamiliar sources and to buy directly from the manufacturer’s website or from an authorized retailer whenever possible. If buying on websites like Amazon and eBay (where products are often actually sold by unrelated third parties), it helps to make sure that the seller of the product is the manufacturer or Amazon itself, not an unknown third party. Often times, third party sellers do not have the ability or desire to properly perform checks on the goods they are selling, and in many cases the third party sellers never actually possess the products – when they receive your order they simply forward the product from a warehouse they have never even seen. While outlets like Amazon and eBay have some anti-counterfeiting policies and procedures, experience has shown that not every fake product will be screened out. Consumers should also check the price of the goods to ensure that it is not abnormally low, and examine the packaging and presentation of the product as depicted on the website to help determine whether the product might be fake or foreign-labeled goods. Compare the look of the product offered with the same product on the manufacturer’s website – if it’s different, that’s a red flag. Consumers should also not hesitate to contact the manufacturer if they suspect that they have received counterfeit or foreign-labeled goods – in addition to being the primary victims, consumers are often the first line of defense in the fight against counterfeiting. As a manufacturer or trademark owner, what can you do when you discover your products being sold in an unauthorized channel, with risk of counterfeiting? Conkle, Kremer & Engel has extensive experience helping manufacturers and distributors to investigate and, when necessary, litigate counterfeit and other trademark- and intellectual property-infringement claims. CK&E attorneys are well-versed in the careful initial steps that should promptly be taken when sales of illicit products are suspected. If the seller is cooperative, litigation can often be avoided. But if the seller is not, that is a strong indicator that the seller has been selling, and will continue to sell, infringing products unless stopped through litigation. Whatever you choose to do, consult experienced counsel and decide on your course of action promptly – unreasonable delays can seriously harm your ability to protect your rights. 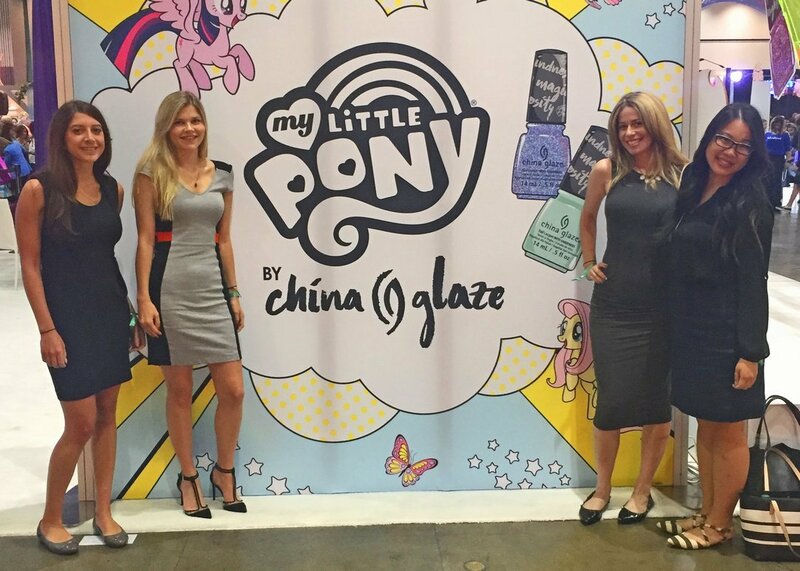 On August 13, 2017, Conkle, Kremer & Engel attorneys Amanda Washton, Desiree Ho, Aleen Tomassian, Heather Laird and paralegal Chelsea Clark attended Beautycon in Los Angeles, both to assist clients and to observe first-hand the latest trends in the beauty industry. 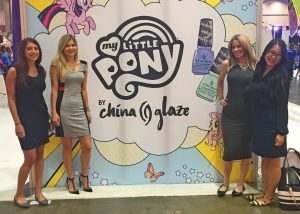 In addition to the thousands of youthful fans and future beauty marketing gurus in attendance, more than 100 brands and over 70 “creators” were featured at the two-day festival. An annual gathering, Beautycon serves as a space for beauty industry participants to interact with young fans. As the popular beauty ideal moves away from the conventional toward one that is more inclusive and identity based, with the help of a talented team of influencers Beautycon advocated for authenticity – a sentiment to which all attendees could relate. Beautycon heavily emphasized the growing trend of using social media influencers and celebrity endorsements to connect with consumers. In exchange for a prized “like” on Instagram, many vendors gifted product samples or even full product lines. Beautycon exemplified the partnerships that are possible between beauty businesses and social media influencers. There were plenty of celebrities, “exclusives” and photo-ready backdrops on hand for influencers’ selfies and videos. There were a number of forward-thinking panels on social media topics, including using beauty-oriented social media platforms to deliver positive self-esteem and diversity messages. 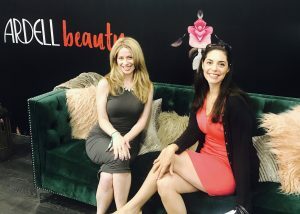 Beautycon demonstrated that connecting brands with social media influencers is rapidly becoming vital to the success of emerging beauty businesses. Conkle, Kremer & Engel attorneys John Conkle and Kim Sim will attend the Cosmoprof event for the Asia Pacific region in Hong Kong on Nov. 12-14, 2014. Cosmoprof Asia will feature more than 2,350 exhibitors in the beauty industry, and expects more than 64,000 visitors from all over the world. There will be 22 national and group pavilions. Given the prominence of California’s personal care product industry, CK&E is proud to attend the Hong Kong event in association with the California Pavilion organized by the California Trade Alliance. CK&E will meet with clients and correspondent counsel to facilitate business between manufacturers, distributors and vendors in the Asia Pacific region and the United States, with particular emphasis on California businesses. Brand protection and distributor relations are always a major concern when doing business between the U.S. and Asia, and CK&E attorneys are there to help. If you will be attending Cosmoprof Asia this year, please let us know and we will try to make arrangements for a meeting at the event. John Conkle of the Conkle, Kremer & Engel will moderate a panel presentation at the 13th Anti-Counterfeiting & Brand Protection Summit, on October 1, 2014 in New York City. The title of the presentation will be Combining Forces: Coordination of Public and Private Sectors against Pirates and Counterfeiters. The panel will consist of preeminent experts on effective enforcement of civil and criminal anti-counterfeiting laws: Marc Misthal (Gottlieb, Rackman & Reisman LLP), James T. Hayes Jr. (Special Agent in Charge, ICE Homeland Security Investigations, New York Field Office), and Jodie Kane (Chief of Rackets Bureau of the New York County District Attorney’s Office). Confronting product counterfeiters can be an expensive, labor intensive and sometimes frustrating task, particularly when undertaken as a solo effort. The panel sponsored and moderated by CK&E will highlight strategies for combining the strength of private enforcement and available public sector resources to combat counterfeiters using all available tools. The panel will assess when and how to use civil resources in partnership with criminal enforcement for the most effective and cost-effective assault on product counterfeiters. The panel will address practical steps to best leverage the strengths and resources of both arms against the scourge of counterfeiters, illustrating points with real world experiences. Join us and learn how to get the most bang for your brand protection buck in the battle to defeat counterfeiters. CK&E is proud to again sponsor this important brand protection event. On September 18-19, 2014, Conkle, Kremer & Engel lawyer Zachary Page will attend the International Trademark Association’s “Internet, Innovation and ICAAN: The Evolving Landscape of the Net” conference in San Francisco. This INTA program will cover issues related to the interplay between trademark owners and new developments in the management of the Internet, including new generic top-level domains (gTLDs), changes to the WHOIS domain name directory system, management of intellectual property rights in social media, and other shifts that impact the way owners’ protect their trademarks online. The conference features speakers from leading companies in the technology industry, including Google, Facebook and Twitter, as well as representatives from federal and global regulatory organizations, such as the World Intellectual Property Organization (WIPO), U.S. Department of Commerce and the Internet Corporation for Assigned Names and Numbers (ICANN). Every business is affected by developments regarding the Internet. CK&E participates in important industry conferences of INTA and others to stay in the forefront of developing issues affecting the firm’s clients. Check back for blog post updates from the conference to stay abreast of innovations and changes in governance and brand protection on the Internet.